Art of the Treasure Hunt (1st July – 30th October 2016) is an exhibition launching this summer that will provide an opportunity to explore and examine the powerful impact that contemporary art has when juxtaposed in a traditional setting. 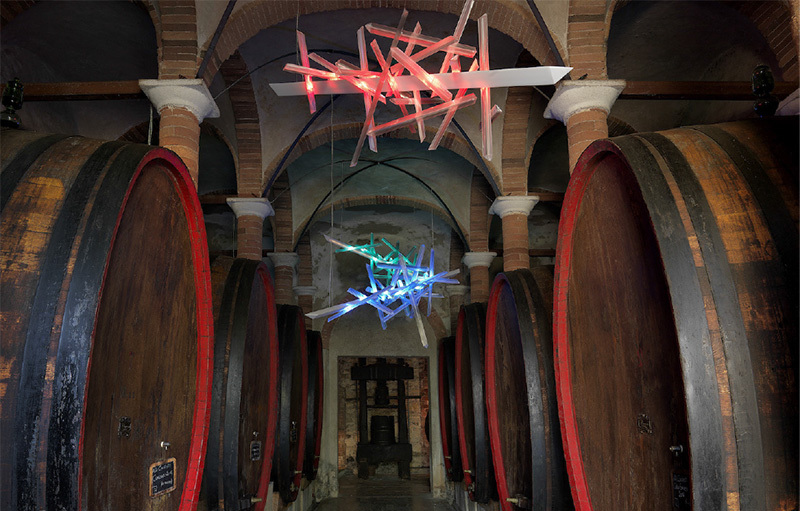 Contemporary artists from all over the world will exhibit their work in seven of the leading wineries in Chianti Classico: Fèlsina, Castello di Ama, Castello di Brolio, Colle Bereto, Gagliole, Borgo San Felice e Castello di Volpaia. The inaugural ART of the Treasure Hunt is the combined vision of Luziah Hennessy and her friends. The Treasure Hunt will support Robert Wilson’s Watermill foundation via a dinner and charity auction that will be held at Fèlsina. The funds will benefit Fondazione Tommaso Bacciotti, the Campana Institute “Mohino” project, a Sao Paulo Favela and the Euro-Arab Initiative for Reconstruction & Development. All of the wineries included have been awarded wine ratings of between 90 to 98 points out of 100 by the Wine Spectator. The exact location within each winery has been carefully chosen in order to highlight the powerful combination between the setting and the artwork. This also gives the visitor the chance to reassess the impact that the immediate surrounding has on the work. The theme at Fèlsina will be Let There Be Light. Mark Handforth, an American artist represented by Galleria Franco Noero, will create a site-specific outdoor sculpture. Also, a new light work, La Traviata by Robert Wilson, produced by SLAMP, which was presented at Salone del Mobile in Milan in April 2016, will be on view. In addition, iconic Portuguese artist, Pedro Cabrita Reis, who represented Portugal at the Venice Biennale in 2003 and has participated at five Biennale, will display a light sculpture, London Angle, courtesy of Gallery Sprovieri.